Review: The Walking Dead 2.4 "Cherokee Rose"
One month ago, Dwayne Johnson confirmed the fact that DC will be making a Shazam! 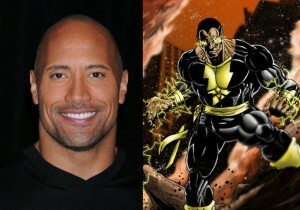 flick and that Johnson would be playing the villainous Black Adam in that movie. That was a happy day! I’d been following the rumors around a Shazam! movie for years, including talk about Johnson’s involvement. Captain Marvel was — I kid you not — my all time favorite superhero. Finally, in this age of great superhero movies, Captain Marvel would get the treatment. Oh, joy! Oh … rapture? Oh … anxiety! Who will play Captain Marvel!?! Then, a few weeks ago, on the Podcast, Bobby Shortle talked about reading Shazam! 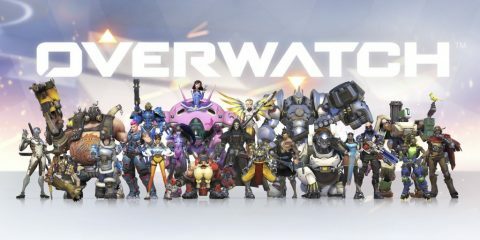 : The Monster Society of Evil. He named it as one of his books of the week, but offered the disclaimer that as enjoyable as it was, the mini-series had sort of scratched the Captain Marvel itch for him. It was fun and rollicking, but there wasn’t quite enough there there. This made me realize that there is A SHAZAM PROBLEM. 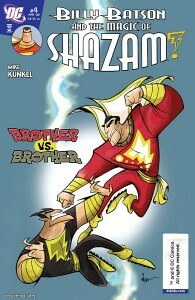 Can the Shazam Family fly in the 21st Century? At it’s heart, Captain Marvel has always been a kids book. Captain Marvel’s comics — drawn by C.C. Beck — have always been aimed at the classic comic audience, the ten to twelve year old boy. Though the Marvel family themselves were always analogous to Superman and crew, the villains, aliens, monsters, backgrounds and plots of the classic Fawcett stories were closer to Harvey or Archie comics than they were to the National or Timely comics of the day. 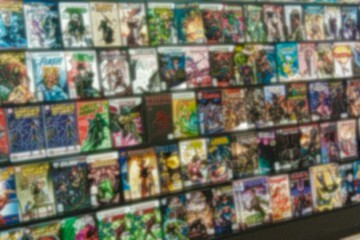 The stories were outrageously cheesy and built around the some fairly feeble pretenses — the slightest excuse to suspend disbelief — and were generally so fantastically wonderful that they outsold every other comic on the stands. When DC comics brought back Captain Marvel in the early ’70s they brought back C. C. Beck himself to try and capture the lightening, again. They failed. That series was all of the feeble and cheesy, and none of the fantastic and wonderful. Others were more successful. The Monster Society of Evil, done by Jeff Smith (of Bone fame) also worked the fun and cartoony and wonderful angle. Mike Kunkel’s (of Hero and the Bear) first four issues of Billy Batson and the Magic of Shazam may have been the best Captain Marvel pages written and drawn in sixty years. They have yet to figure out how to do a “modern” Captain Marvel. The trick that the Shazam movie is going to have to pull off is not to adapt a successful modern movie from a successful modern comic. They will be trying to adapt a successful modern movie from a character who has not successfully been adapted into the modern aesthetic. Justice League International was the first to come close. Then Jerry Ordway’s 1996 Power of Shazam series came damn close to threading the needle with 48 issues that were very good — but not great. (Although Ordway’s painted covers were, in fact, great.) Alex Ross’s vision of the Captain is inspiring and beautiful, but the stories (like Kingdom Come) don’t really show Marvel to advantage. Is it because of Billy Batson? Is this quintessentially nice kid just too boring for the sophisticated edgy, dark readership that buys books today? 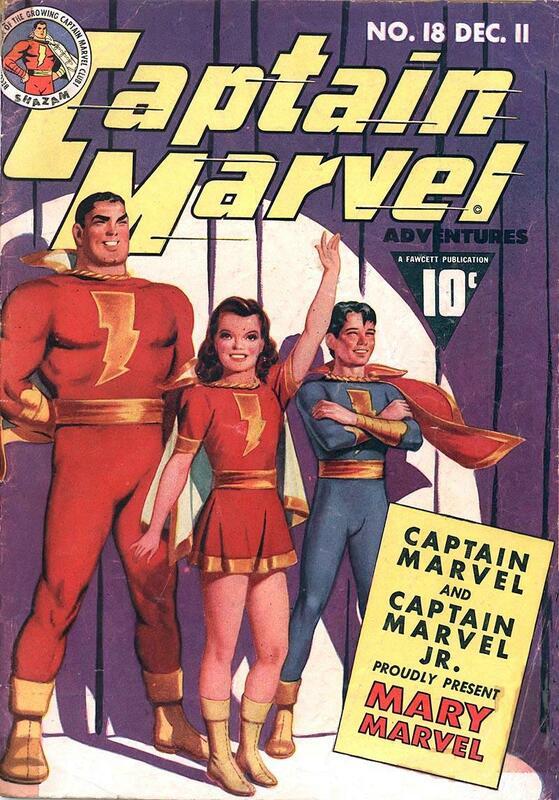 Is it just too hard to do an interesting Batson AND Captain Marvel? Geoff Johns decided that Billy had to be a “troubled” teen. For one storyline, Batson was actually jettisoned to the Rock of Eternity to become the Wizard (a “promotion” to obscurity) and Captain Marvel Jr. Freddy Freeman (cool enough to inspire Elvis Presley!) took on the “position” of Captain Marvel. Or is it because it’s just too tricky to do a twelve year old in the body of an adult, or vice versa. Alan Moore (in Miracleman) already explored the pathology of this pretty extensively. The comedy of a boy in a superhero’s body has been used in a number of places, including the Young Justice animated series. It worked, but the idea of sustaining a movie on that worries me. As God is my Witness, I can imagine some deranged soul thinking Jack Black might be a good choice for the Captain. And there it is … my inchoate worry that this thing that I love will become the first horrific failure of the Post Marvel Cinematic Age. Can you do a story about a nice superhero, who also happens to be a nice boy? Something not infused with the easy irony or cynicism demanded by 2014? Guardians of the Galaxy has given me hope. Tell me in comments if you think I worry for naught! Or if you can figure out a way around this. UPDATE: @ShazamMovieNews contacted me on twitter, pointing me to his own thoughts on this issue. That’s at Shazamaholic.